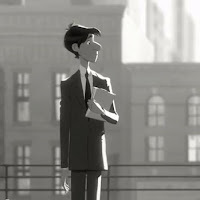 The Academy Awards are being held on Sunday, and there's one category of nominated films that you can watch online for free before the ceremony: the animated shorts. So we're going to post one every day this week in the lead-up to the Oscars. Our final film is a story about finding love in the big city.